The Syphon Filter series has been a staple of the PlayStation since the very beginning. It has seen three games on the PS1, one on the PS2, and also the highly acclaimed Dark Mirror on the PlayStation Portable. With this being the sixth game in the series, can it possibly live up to expectations that Dark Mirror brought back to the series, or has this once beloved franchise finally ran its course? 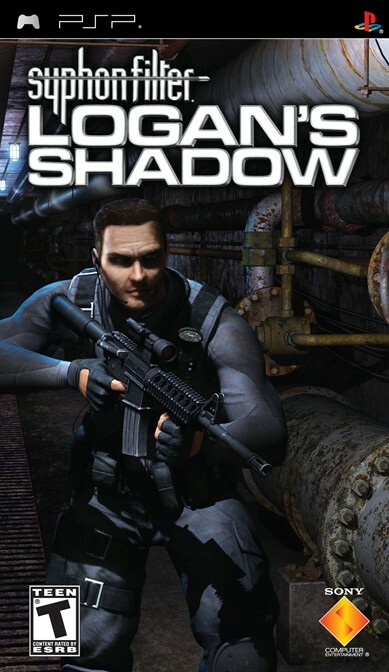 The story in Logan’s Shadow takes place after Syphon Filter: Dark Mirror, and you once again play as series veteran Gabriel Logan. His agency receives an assignment from bureaucrat Robert Cordell. The U.S.S. Mt. St. Helens, a Naval supply ship, has been hijacked by Somali “pirates” lead by Ghassan al-Bitar. Logan needs to board the ship and make his way to Hold Five in order to secure classified material. Although Gabe’s teammate Teresa protests, Cordell explains to Logan that he is the only option because he cannot expect special operations to keep any secrets. But upon returning to base, you find out that your partner, Lian Xing, is accused of being a double agent and that all of your possessions have been confiscated. The rest of the game will see Gabe exploring underwater ships, snow covered mountains and war infested cities in his quest to clear his partner’s name and find out what is going on with Cordell and Bitar. The story is definitely one of the highlights of this title, as it is extremely well executed. And on top of that, it really keeps you entertained and holds your attention. With so many games failing at presenting a decent story, it’s great to see what the developers of Logan’s Shadow were able to accomplish. 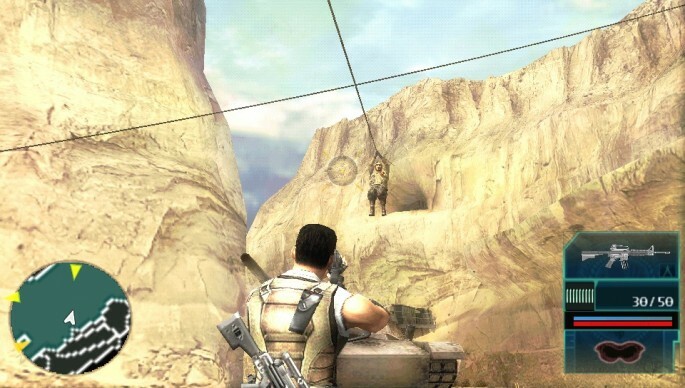 The team behind Logan’s Shadow, Sony Bend, has really perfected the controls for shooters on the PSP. The left nub is used for all of your movement, with the face buttons controlling your aiming. You have the ability to use cover by pressing up on the left nub. And once you stick to the wall, you can lean out and fire on enemies. You also have full control over your reticule, which really helps in getting quick kills. The weapons are quite extensive in Logan’s Shadow, from silent pistols to the series staple, the stun gun. All are very well incorporated, and perform pretty much how you would expect. There are some weapons that do seem a little overpowered, but that also could be due to the fact that head shots are extremely easy.